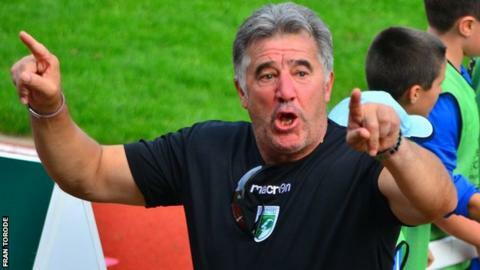 Guernsey FC assistant manager Colin Fallaize says his side must improve on their recent 'weak' performances. The Green Lions travel to Carshalton Athletic, having won only once in their last seven Isthmian league Division One South games. Guernsey were in their last match. "We were a little weak. Weak in character and weak in personality, which left us very much second best," Fallaize told BBC Radio Guernsey. "When we've got a certain group of personnel that understand the game on the pitch we make it difficult for a side to beat us. "They're the ones that step over the line, that pull the character together." He added: "The desire, the determination, the attitude, I can only give them suggestions, I can't remote control them when they're on the pitch. "I've got to give them all the right pieces of the jigsaw and they've got to pull it together on Saturday and I believe they will." Glyn Dyer and Tom Martin may figure in the Guernsey side while Kieran Mahon is returning to full fitness.